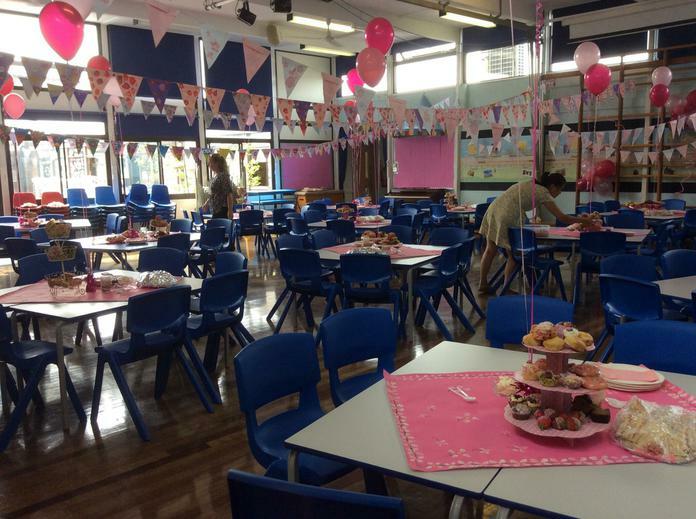 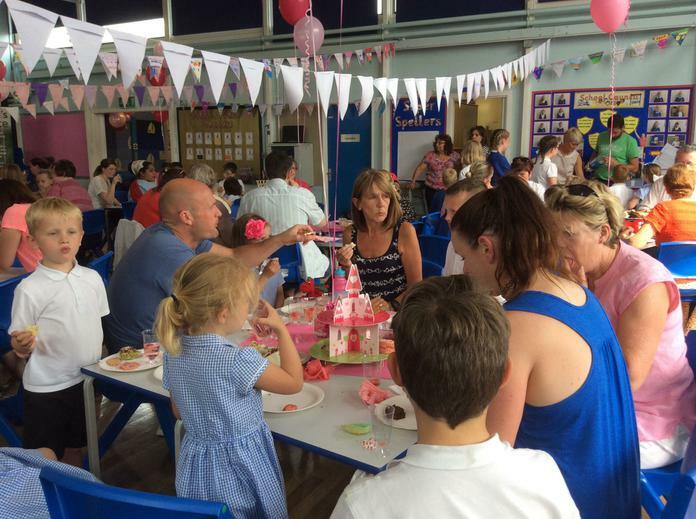 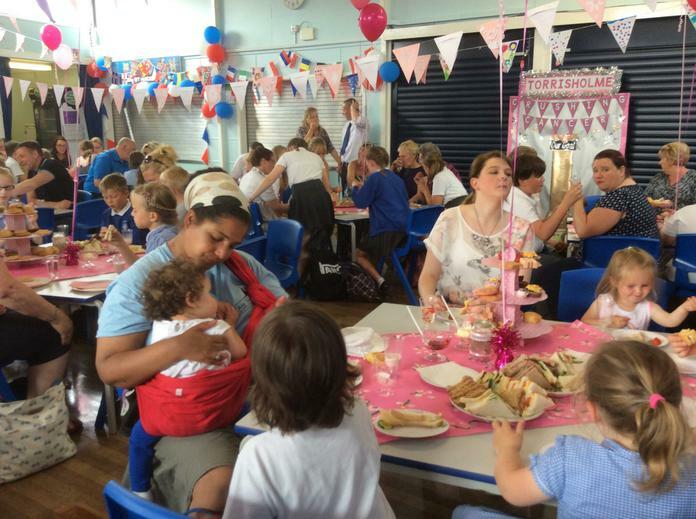 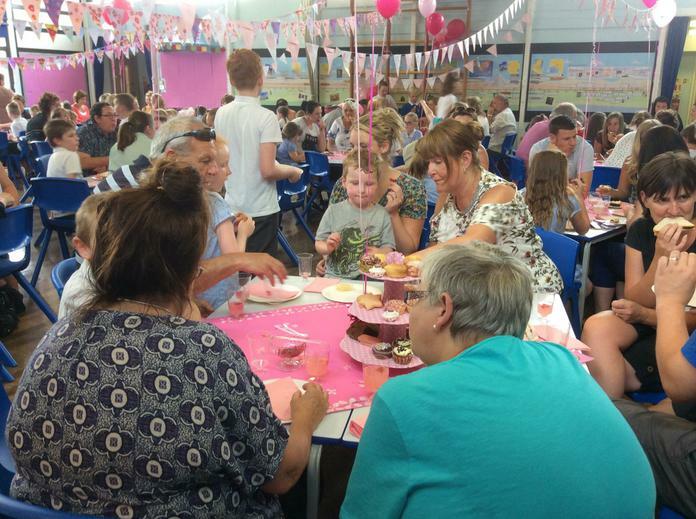 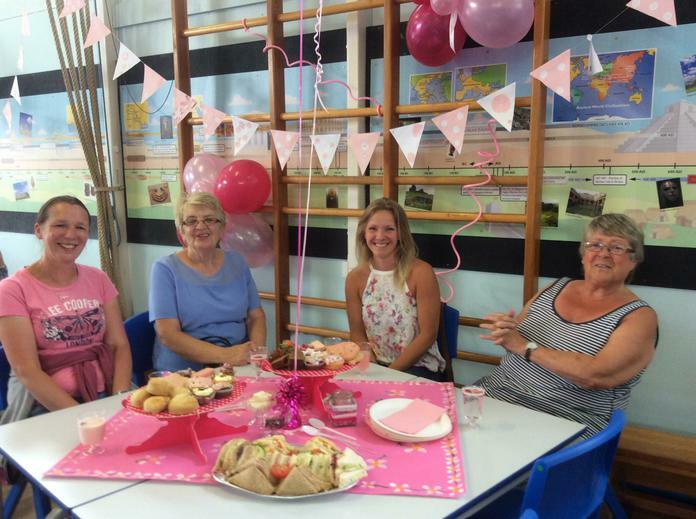 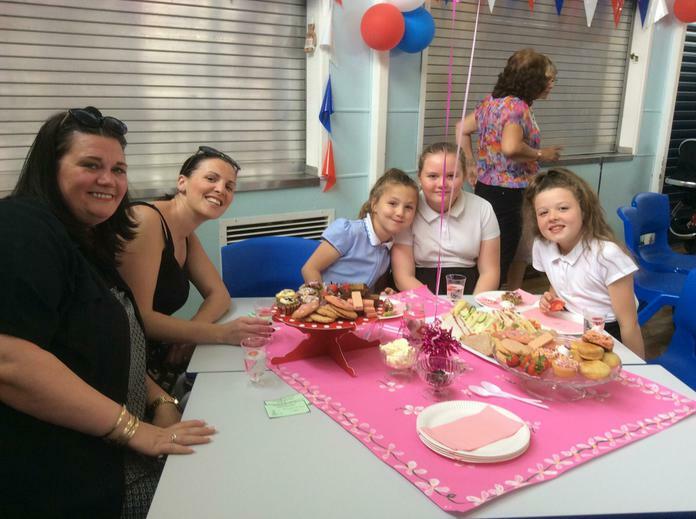 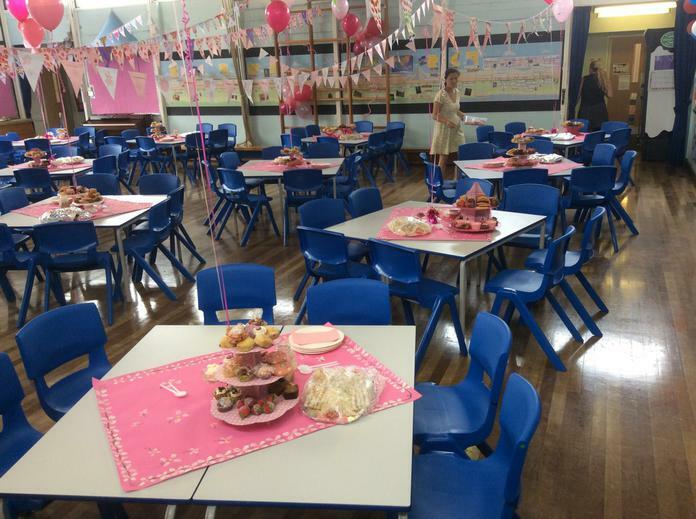 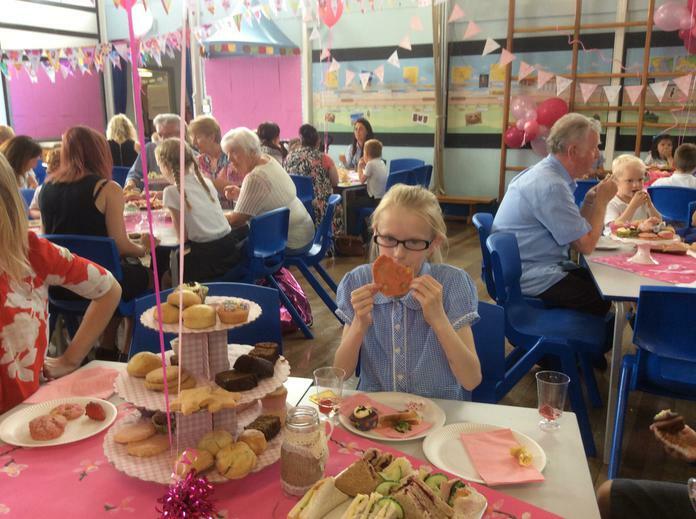 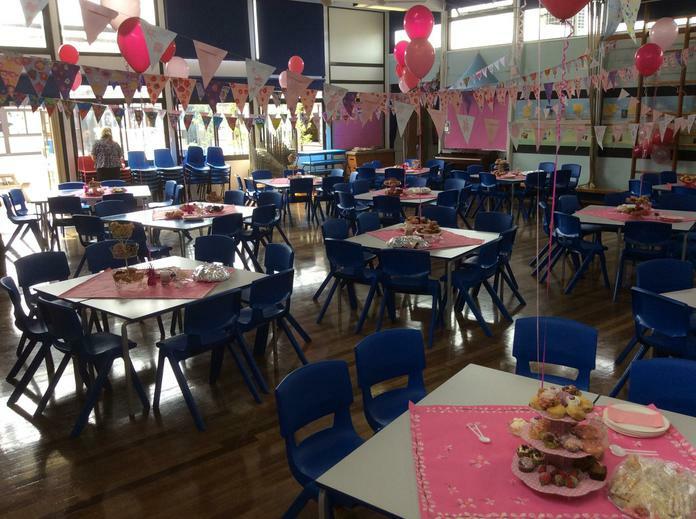 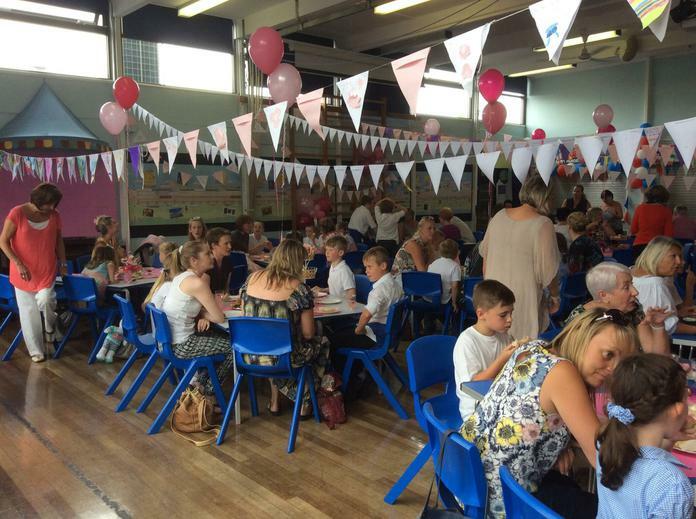 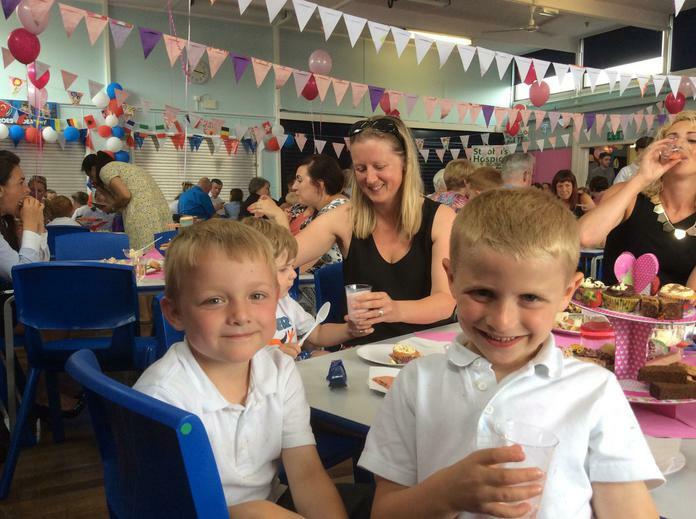 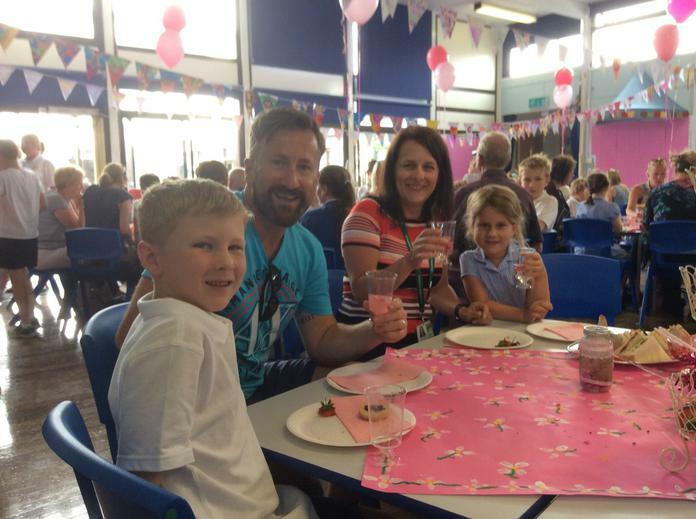 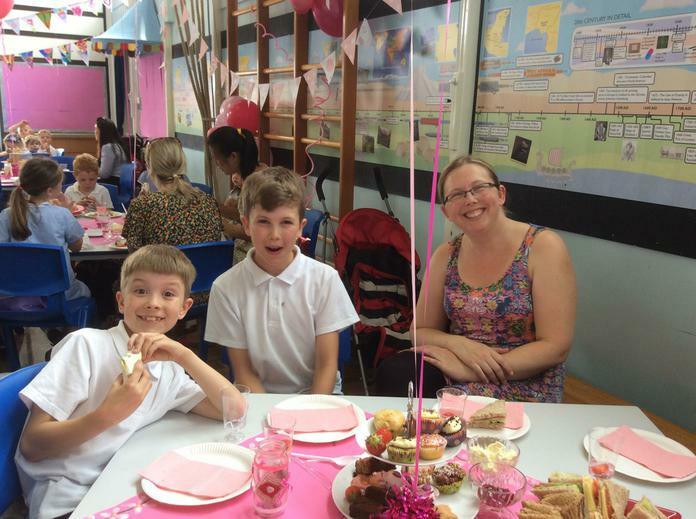 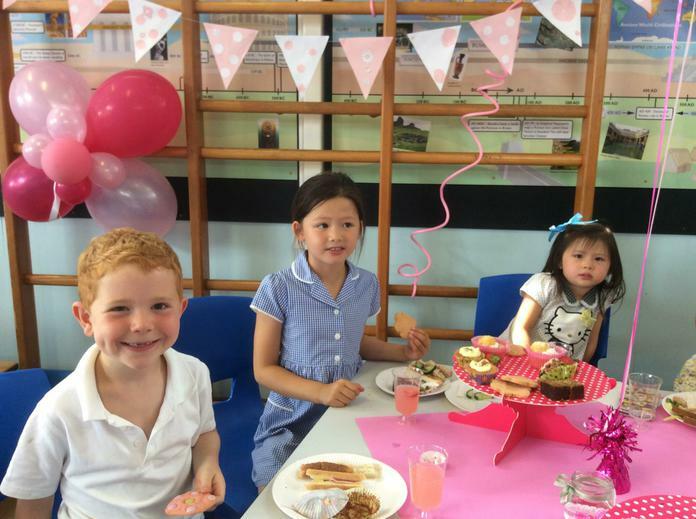 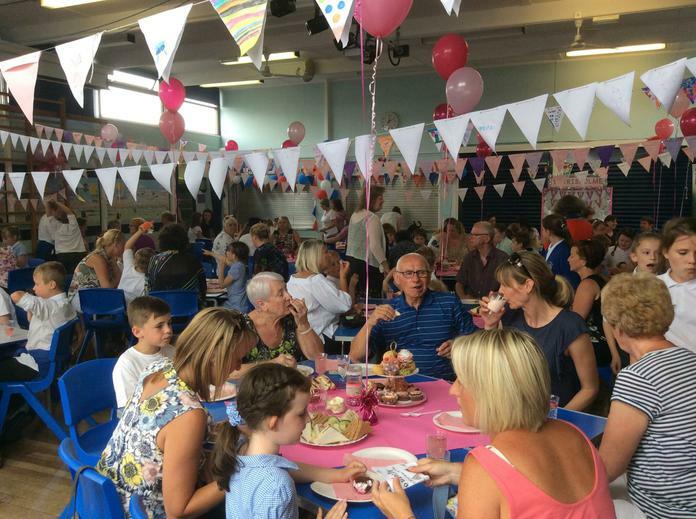 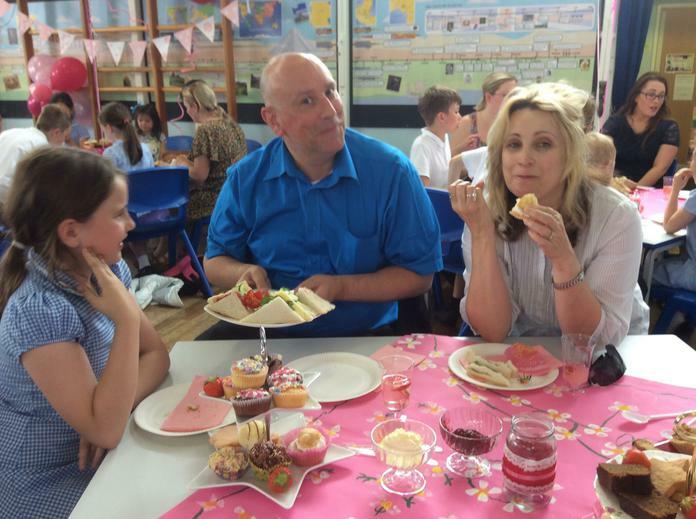 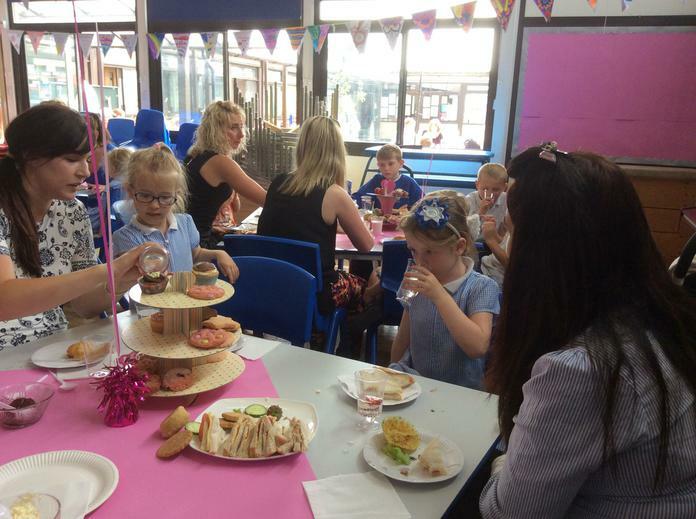 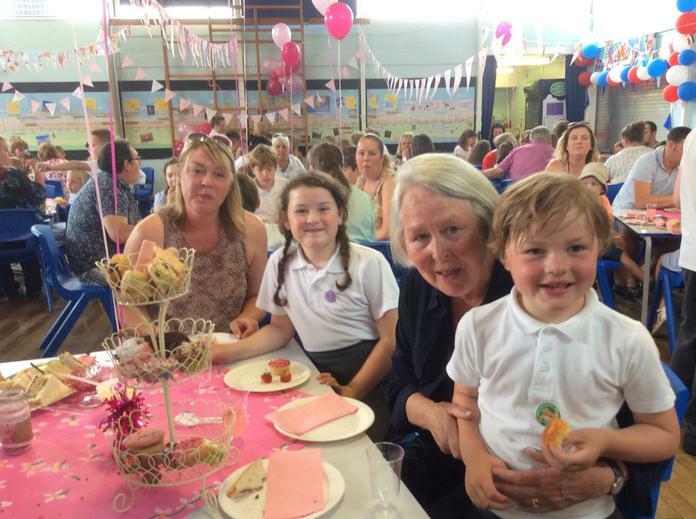 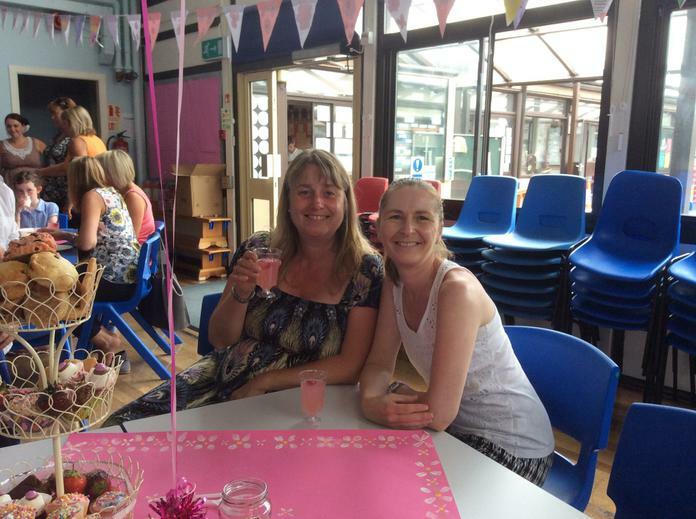 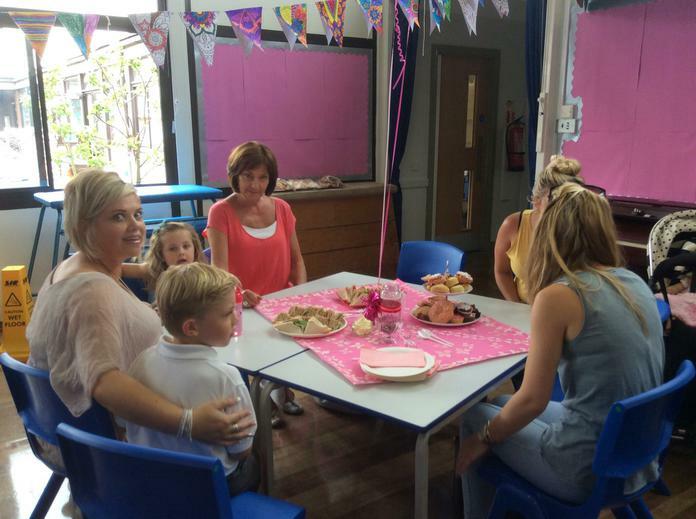 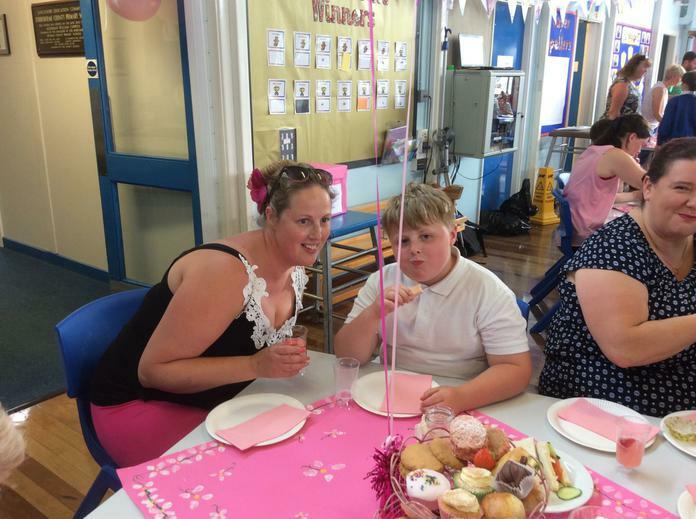 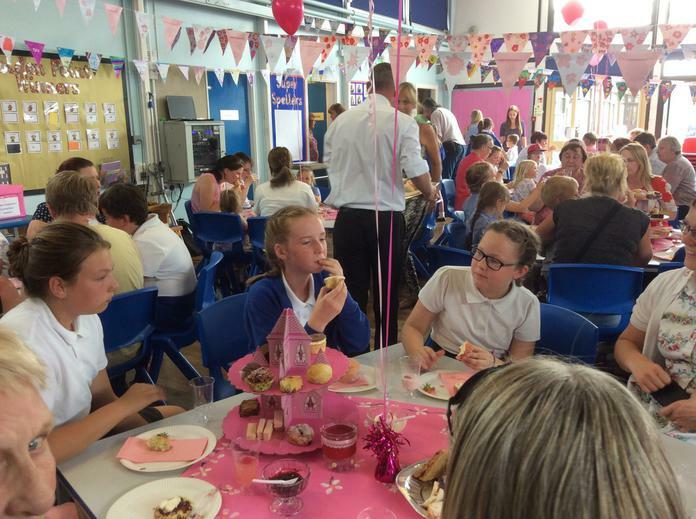 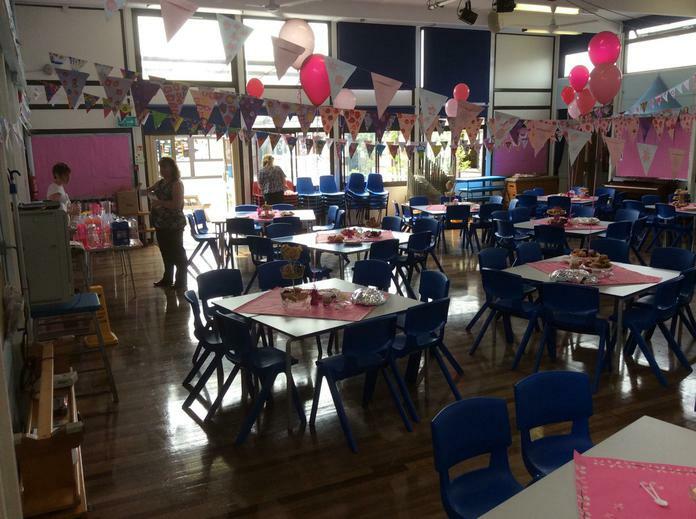 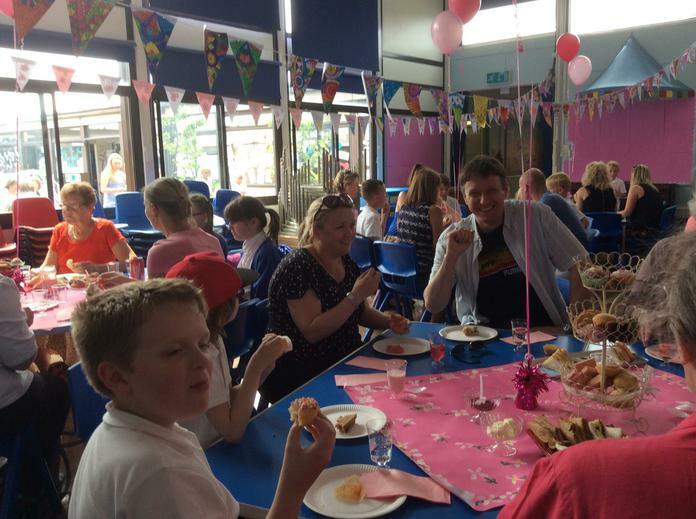 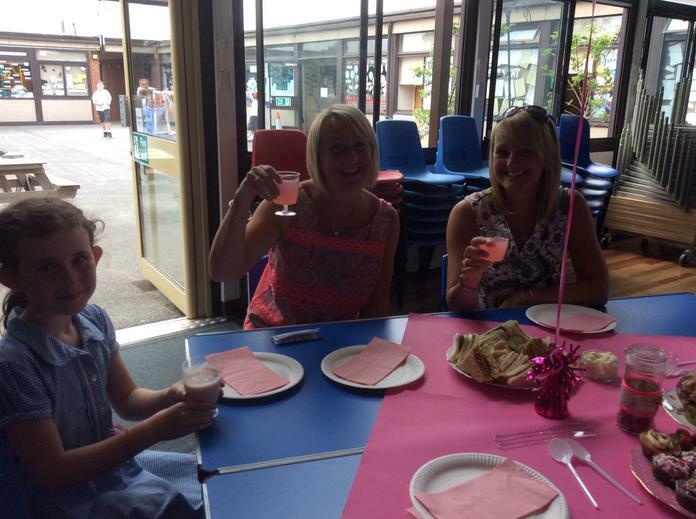 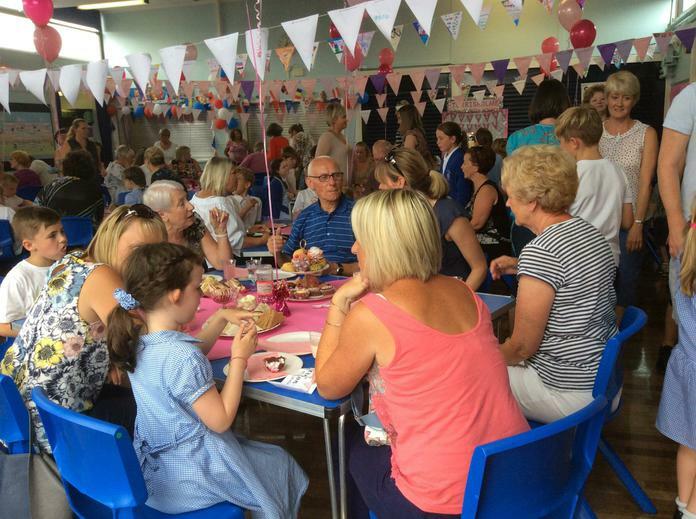 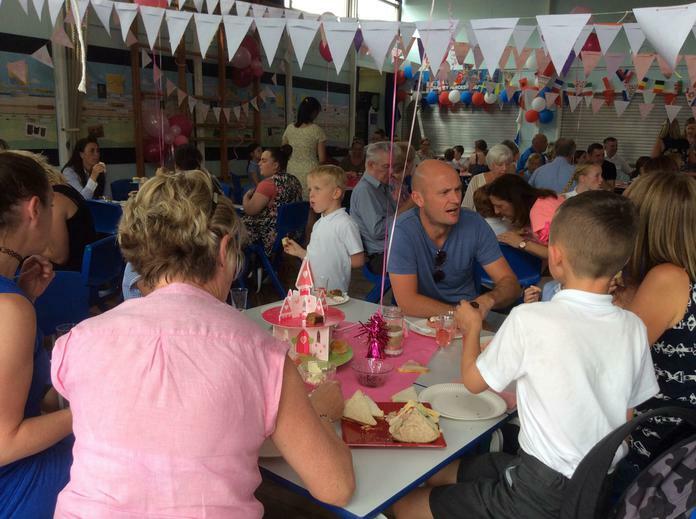 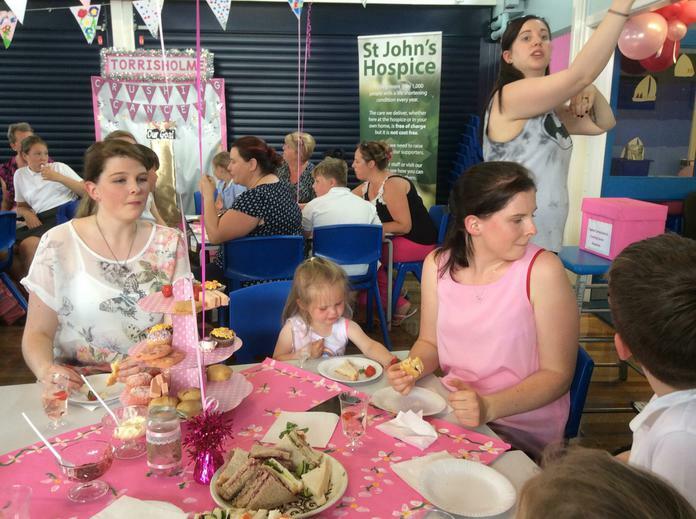 With our school hall decked out to rival The Ritz, we had an amazing turnout to enjoy our fund-raising afternoon tea. 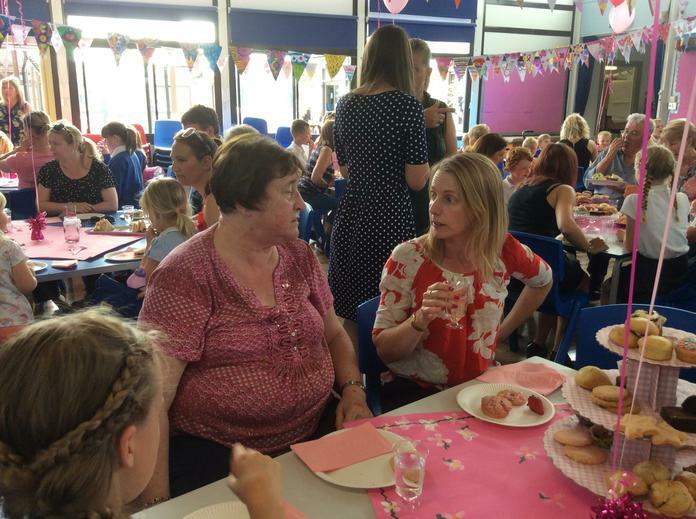 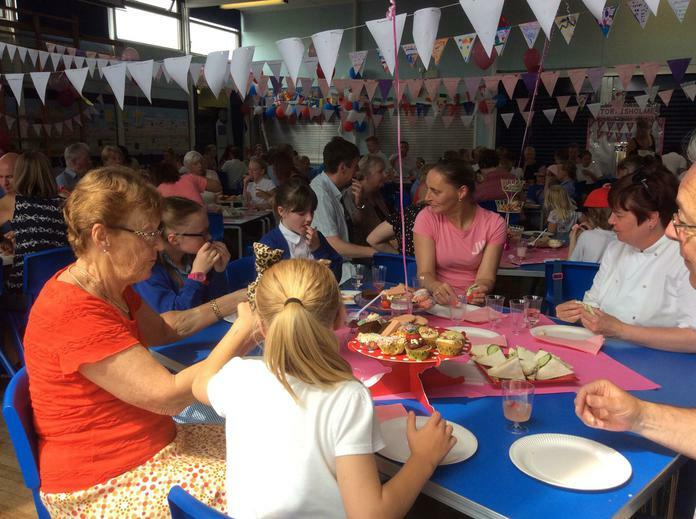 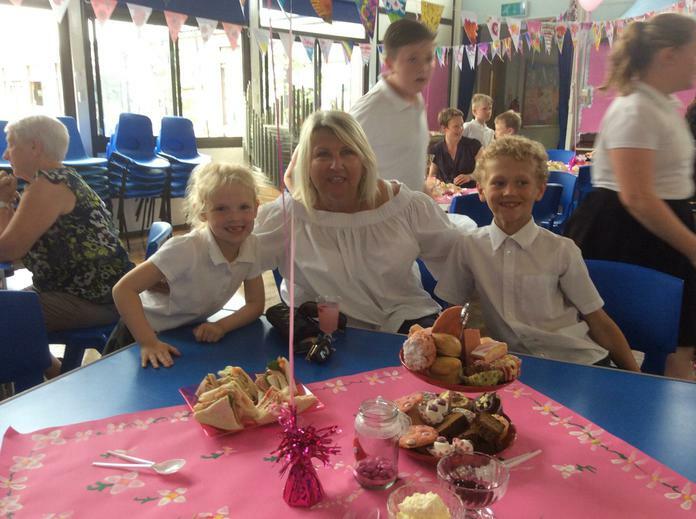 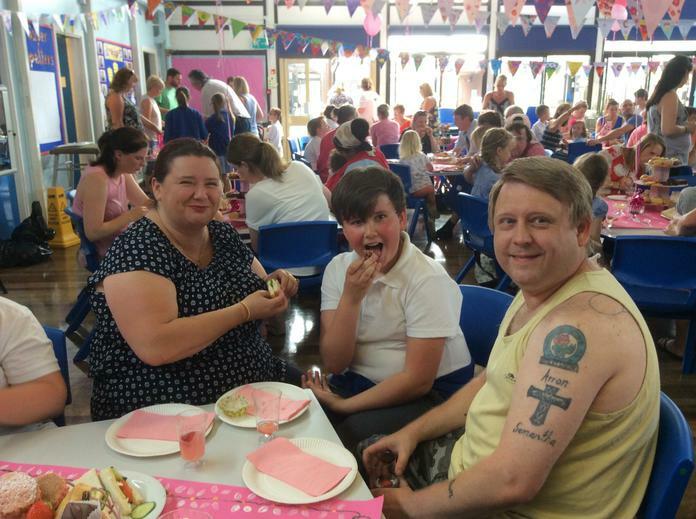 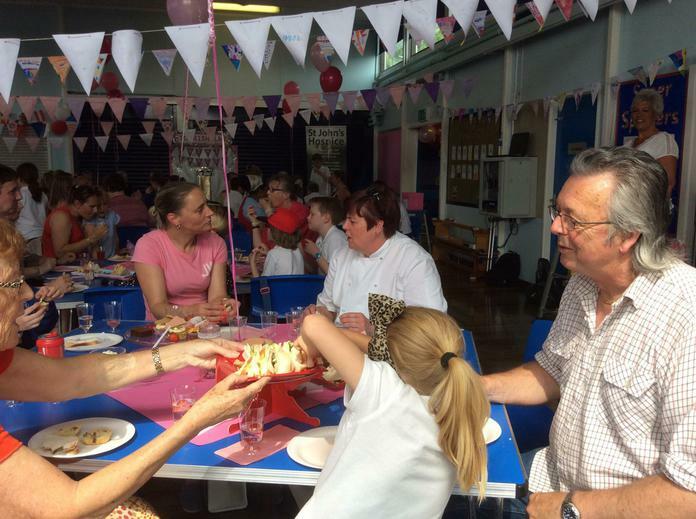 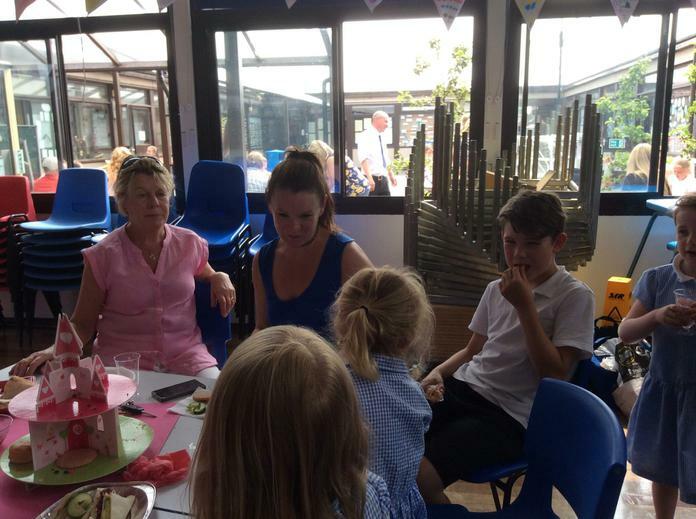 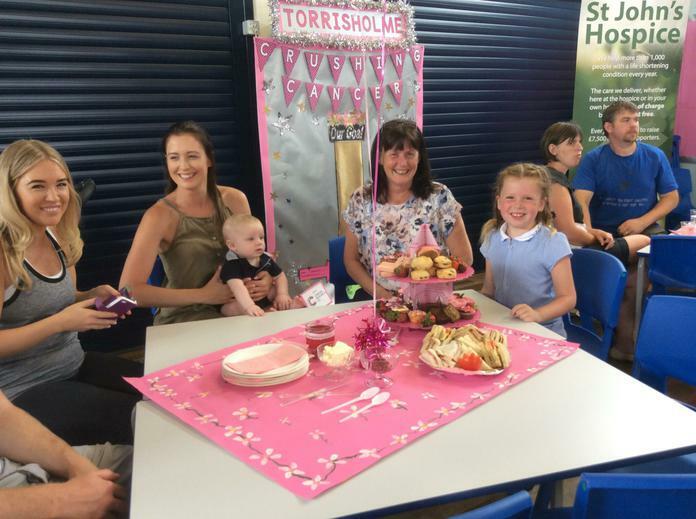 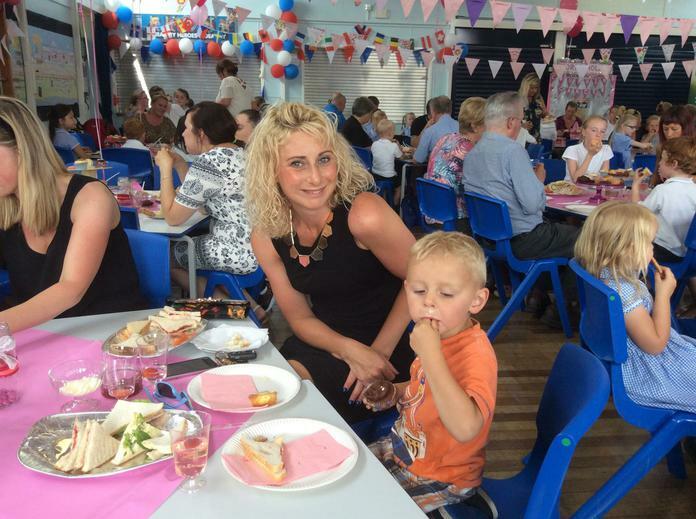 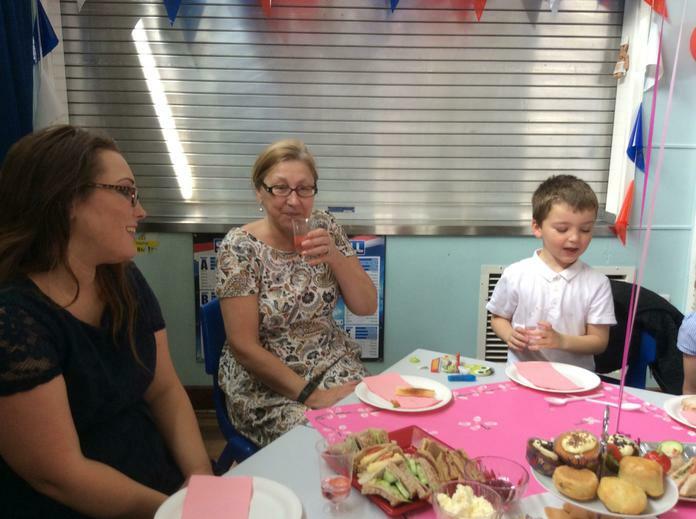 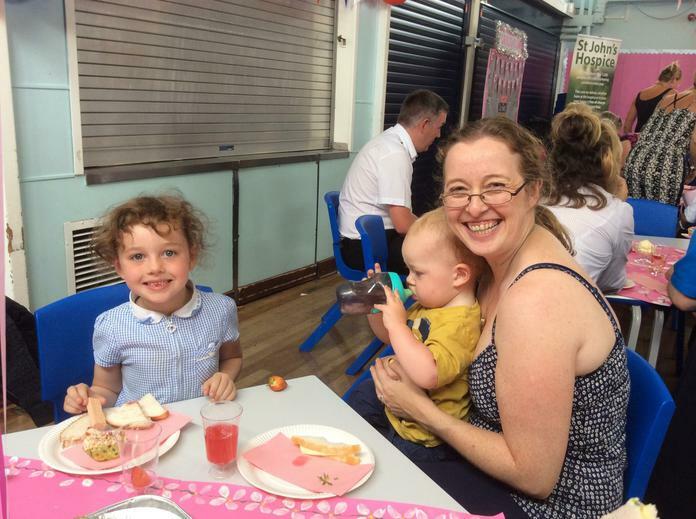 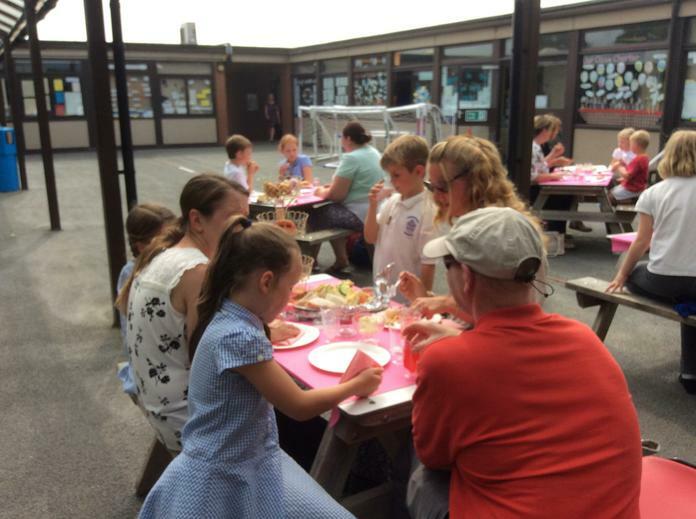 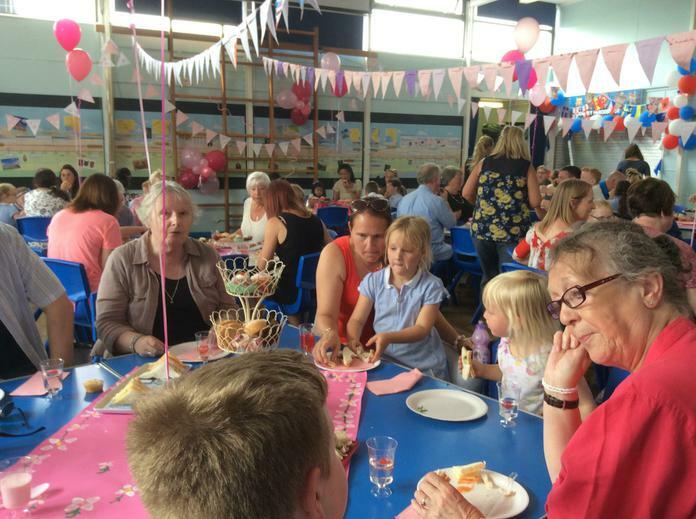 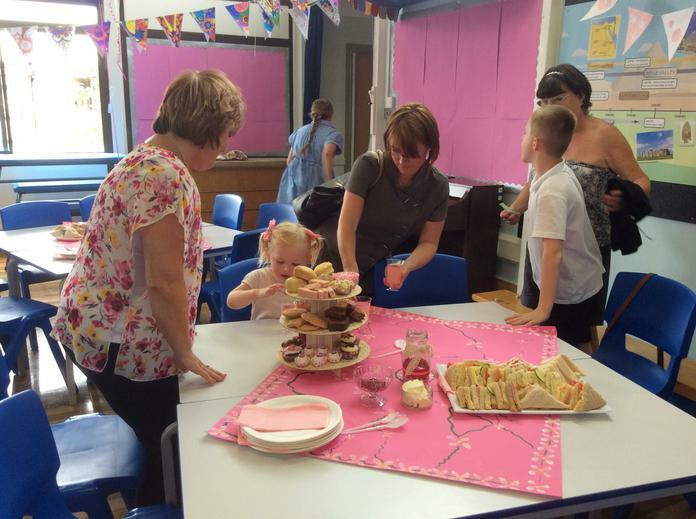 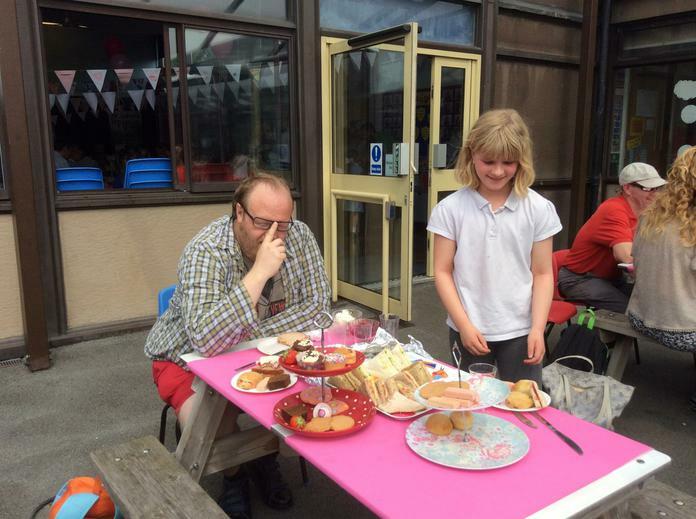 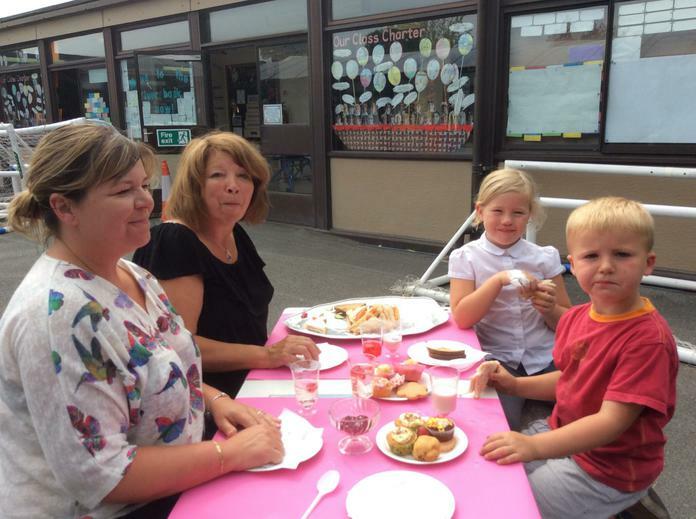 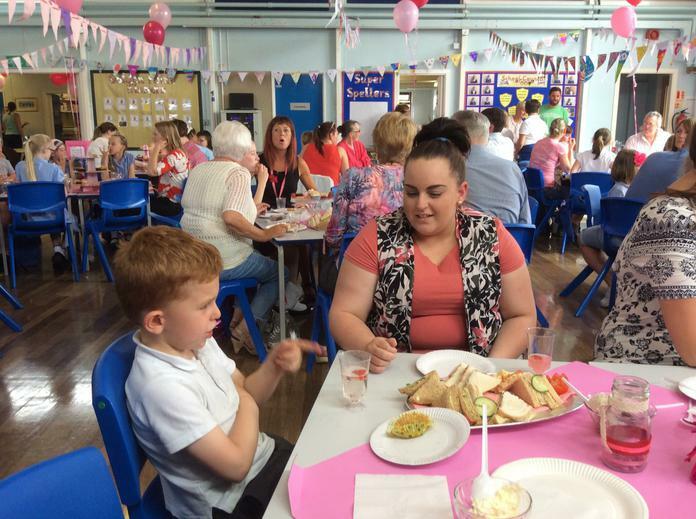 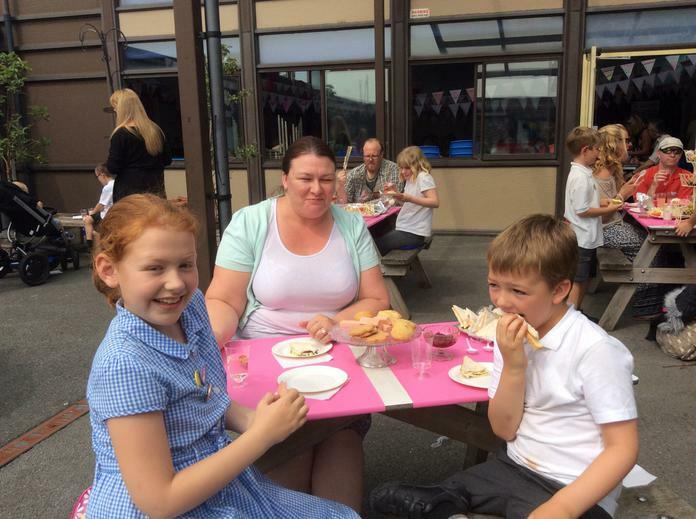 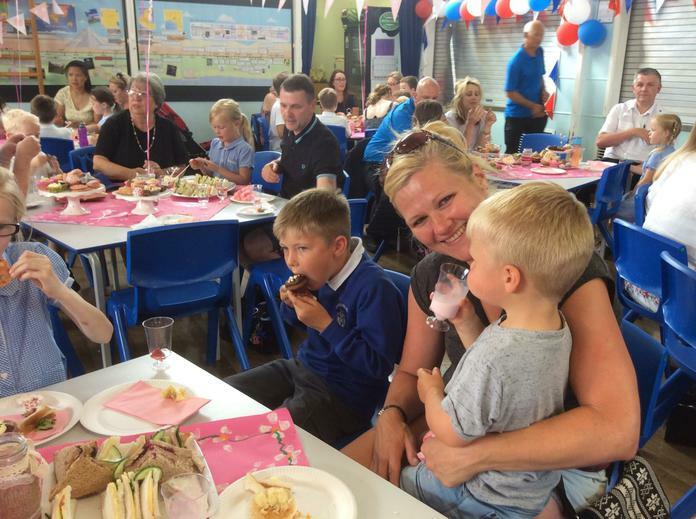 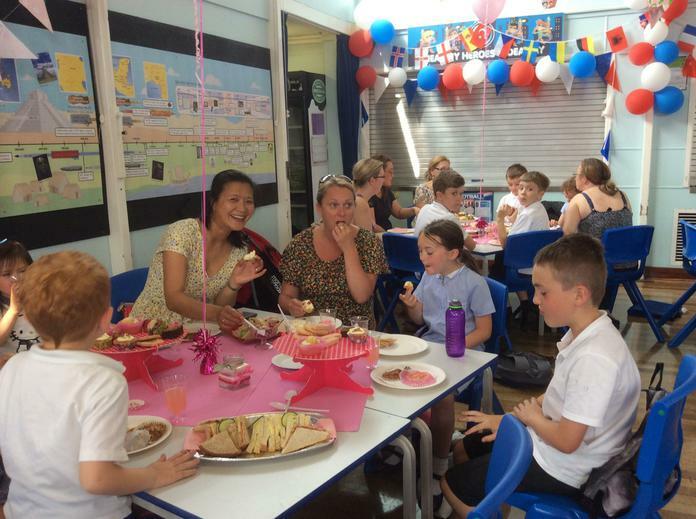 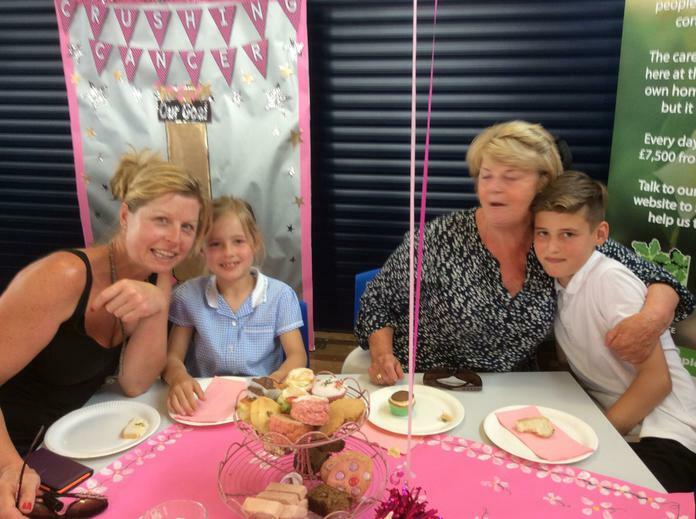 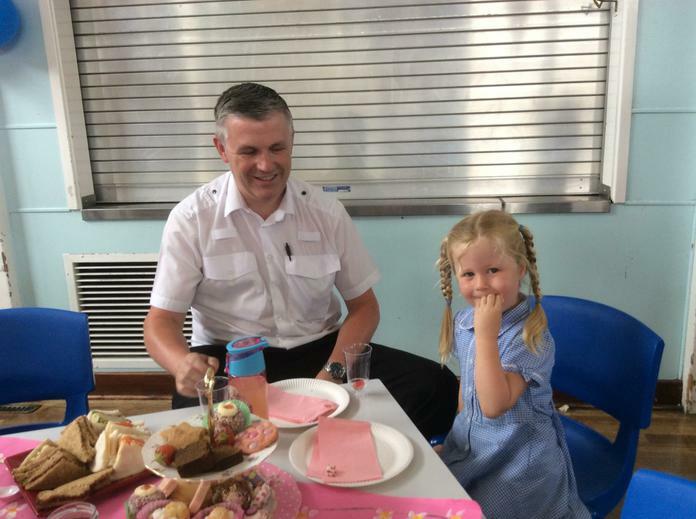 Working as a huge team, the children put on a fabulous spread of sandwiches, cakes, biscuits and scones, which was enjoyed by parents, grandparents and children. 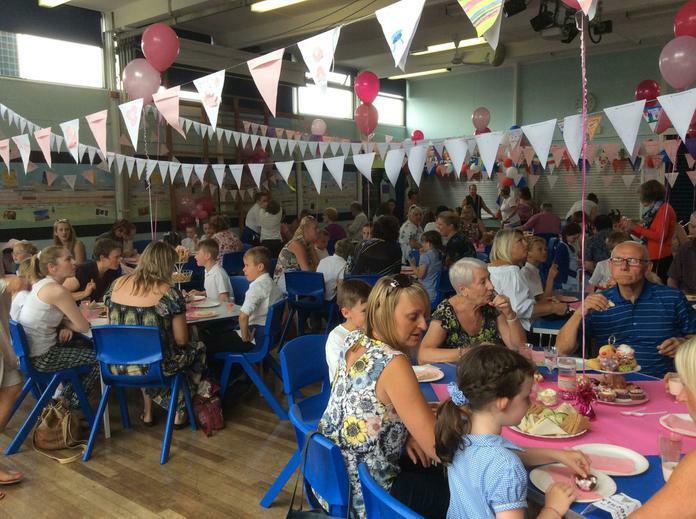 Thank you to everyone who supported our event today, either by attending or by sending in donations of ingredients to allow us to make as much money as possible. 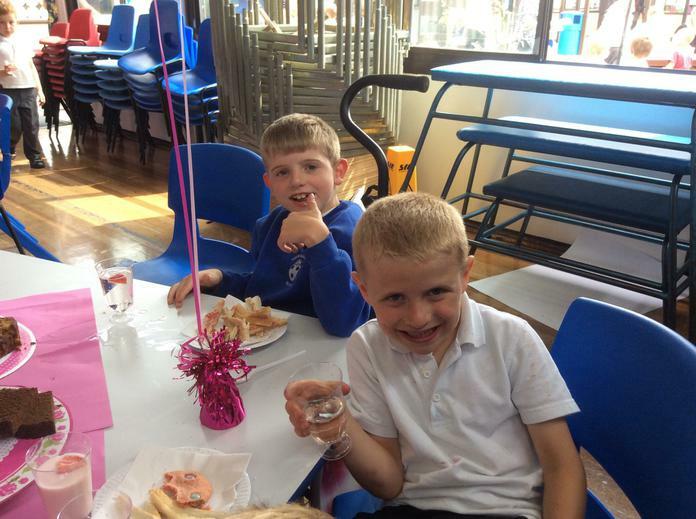 We have added another £414.50 to our totaliser!